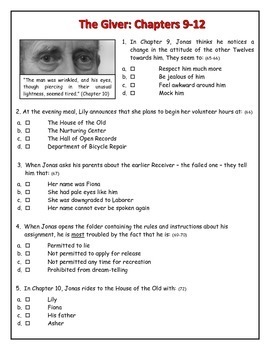 This is a twenty-question, multiple-choice quiz on Chapters 9-12 of Louis Lowry's novel, "The Giver". 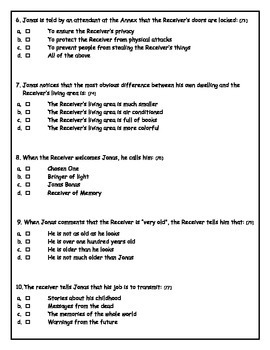 Each question has four possible answers. 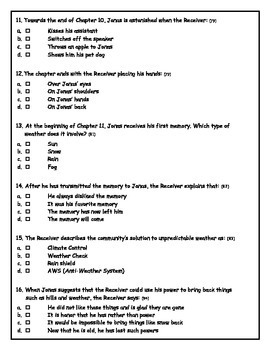 The number in brackets at the end of each question indicates the page on which the relevant information for that question can be found. 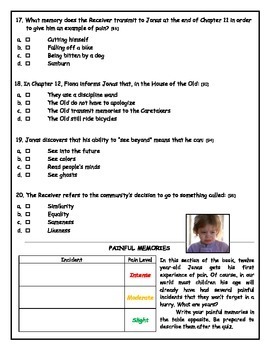 In keeping with the content of Chapter 11, the quiz culminates with a brief activity that asks students to recall painful incidents in their lives.